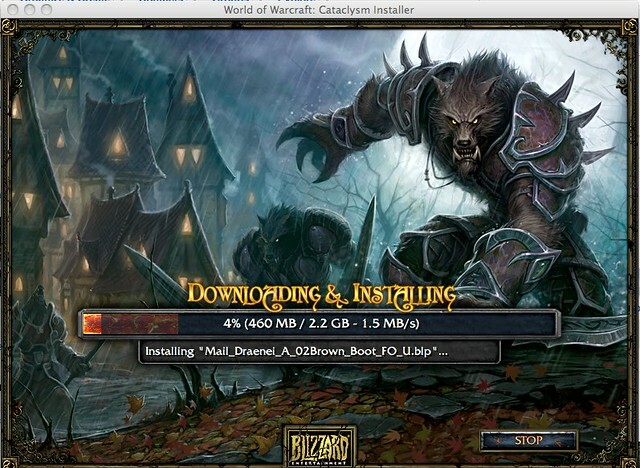 WoW: Cataclysm and The Continually Updating Content – Girl Gamer, Esq. World of Warcraft released another new expansion today, and I’m not incredibly excited about it. I know a lot of people play (hence the release of this third expansion) but as I’ve said previously, I don’t enjoy video games that require groups of players in order to maximize the “fun” from the game, and I don’t really need to be signed up to a subscription model of monthly payments right now. However, this does give me a chance to talk about business models for online worlds, and how one highly successful company has dealt with churn. What is churn? It’s the constant turnover of players, with a steady influx of new players, and a constant exodus of new and old players alike. Newly released games tend to have high churn because some players will join only long enough to discover they don’t care for the art, the controls, or the gameplay, while older games can have high churn as players max out their characters and run out of new things to do or try. How does a company fight churn? Well, one way is to try to make the early levels a lot of fun so that gamers will stick around until they have at least a bit of time invested in their character. Another is to make the game totally customizable, so that gamers will really feel like they own or identify with their character, and will want to go back and explore their environment again and again. Yet another way to fight churn is to develop an already popular brand into an online world, such as Hello Kitty, or Final Fantasy. A fourth way to keep gamers interested in the game is to have a development team always working on the next content upgrade or update, whether it is seasonal content, new monsters and items, or a massive undertaking that releases new continents, classes, and mounts. In addition to the content and actual mechanics of how the game works, churn can also be affected by the pricing model. For MMORPGs such as MapleStory or RuneScape, the game itself is free to download and play, but additional content or items can be purchased for a little extra money. With WoW or Final Fantasy XI, not only does the initial game cost money, but after the first thirty days there’s a monthly subscription fee as well. Some players, once they’ve invested a lot of time and money in a game have a harder time walking away from their characters, perhaps paying the relatively nominal subscription fee long after they stop actively playing the game. With the free to play/pay for premium content models, gamers might have an easier time walking away, but might want to hold onto the items or special features they’ve purchased. That brings us to the other part of “quitting” an MMORPG. Unlike with many other hobbies, when someone deactivates their account on one of these servers, they lose access to it forever (for the most part). The content they purchased, the accolades they acquired, and the time they’ve spent developing their character evaporates into so much virtual smoke. As soon as the gamer stops paying that subscription fee, their character is slated for deletion, and they have no right to retain access to it. At least, that’s what most of the Terms of Service agreements purport to explain. “But no one reads those things anyway! How legally binding can they be?” Unfortunately for people who delete and then regret it a few days later, clicking “I agree” is just as binding as signing a lease or a check. (Some restrictions apply, but the principle is the same.) Most MMORPGs are set up so that the gamer is only leasing the data he uses on the servers provided by the game company, and doesn’t actually “own” anything in the world itself. This not only protects the gaming company from gamer’s remorse, but also in cases of server failure or unanticipated downtime. Granted, the game company has usually promised to make reasonable efforts to back up character files so that only one or two days of playing is lost, rather than months of hard work, but the principle is the same. They own it, gamers pay for the right to use it, and once they stop paying, they can’t use it anymore. What does all of this have to do with World of Warcraft? For those of you playing, I hope you have a good time with the new content. For those of you who created it, congratulations on meeting your targets! For those of you who have fought off your addiction, and now spend money on tangible goods or other virtual properties, I’m right there with you. ‘Other virtual properties’? Can you provide some examples?